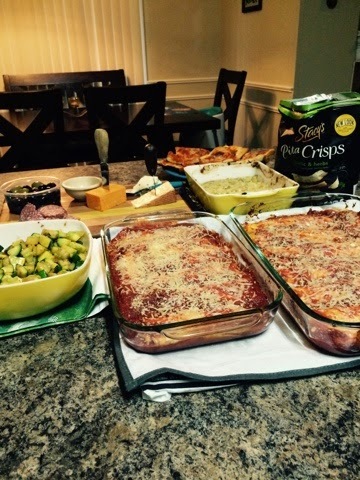 Homemade manicotti has been a family tradition for decades. Hand pouring the pasta batter and slowly cooking paper thin pasta shells and then rolling them into magical tasty pockets filled with ricotta and garlic, is something of a labor of love. If you've never tried it I highly suggest you do. The dried pasta we buy from stores in the U.S. can't and doesn't compare to the fluffy lighter texture of fresh pasta. No pasta maker? No problem. All you need to make this recipe is a small frying pan. I love pasta. More than anyone should love pasta. It is an easy meal that is even better the next day or two after all of the flavors have married together become more familiar with each other. Pappardelles Pasta is some of my favorite out there. They are a small company that creates wonderfully flavored fresh pasta that is then dried and distributed nationally to small vendors and farmers markets. They even have an online shop so no excuses if you can't find a decent farmers market to explore. 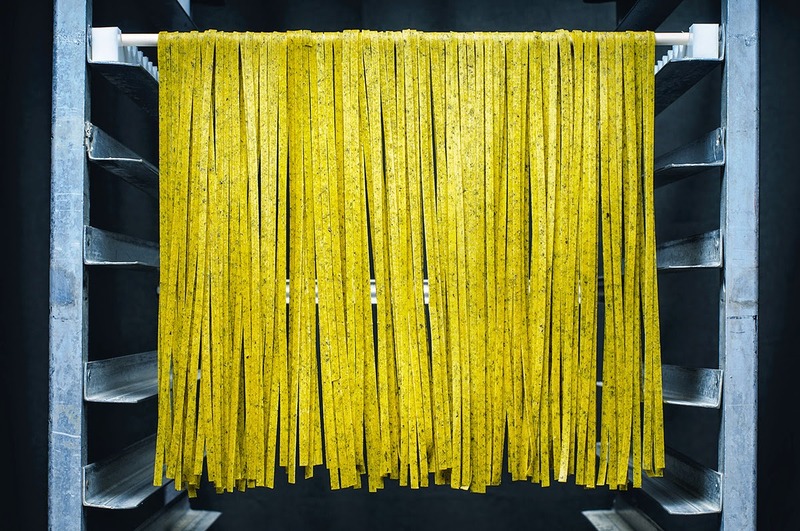 Pappardelles does not use do not use preservatives or unnatural flavorings in their pasta and all of their pasta is made by hand, using the finest-quality ingredients available and following traditional methods of production. OK enough of my infomercial for Pappardelles. :) Onto the recipe for my fool-proof meal. First I grill the chicken on my stove top grill pan. It is way too hot in Texas to be grilling outside in August. I usually just brush the chicken with evoo and garlic powder. Next I make my sauce. Swirl your pan with olive oil and roast chopped garlic cloves just about 1 minute to release flavors. 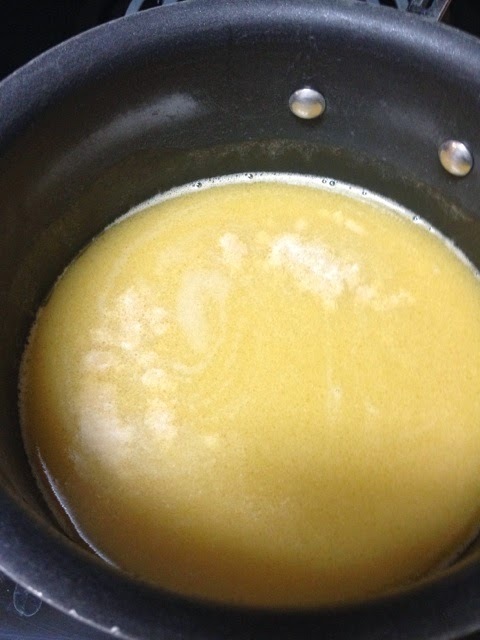 Then add wine until boiling, then add juice of one lemon, butter, cheese, and capers. Cook for about 10 minutes. While that is cooking boil your pasta for about 8 minutes. Now I saute my mushrooms with a little olive oil, small amount of butter, garlic, salt and pepper until done. Now drain pasta and transfer to large bowl or serving platter. Add pasta, top with sauce, mushrooms, and slice your grilled chicken. Top with a little extra parmesan cheese and lemon zest. Enjoy! Dogfish Head always seems to make an appearance in our house. Namaste is one of our favorites. It is a Belgian-style white that is made with dried organic orange slices, fresh-cut lemongrass and a small amount of coriander. The term Barley Wine is a misnomer in the world of beer. This unique style of libation is not a wine but is in fact a strong, intense style of beer. This style originated in England and was often the premier batch of brew kept by the brewers for themselves. The style is normally high in alcohol and usually sweet tasting thanks to the amount of fermentable grains added to the brew. The sweetness is also due to the amount of sugar left over from a high alcohol beer and what the yeasts were unable to convert to alcohol when the alcohol content in a brew gets this high. In some cases, Champaign yeast is added to the batch of beer to take over where the beer yeasts leave off. Champaign yeasts typically can tolerate higher alcohol while not contributing any flavors to the beer. Barley Wines thus have a fruity, sweet, and sometimes hoppy complexity about them and are always enjoyed best in an open piece of glassware and sipped. As usual, American versions are more highly hopped to balance the sweetness and high alcohol. The English originals are more balanced, lower alcohol, and less intense. One of the finest qualities of the Barley Wine, and maybe where the wine idea plays a part, is the wonderful ability of these beers to be aged. Aging this style of beer causes the grain sweetness to dissipate slightly, the intense hoppiness to round out, and the alcohol to preserve the integrity of the beer. What results is a well-rounded and fine brew to be enjoyed up to several years later. Without apology and with enthusiasm, the authors of this blog are fans of Dogfish Head Brewing located in Delaware. 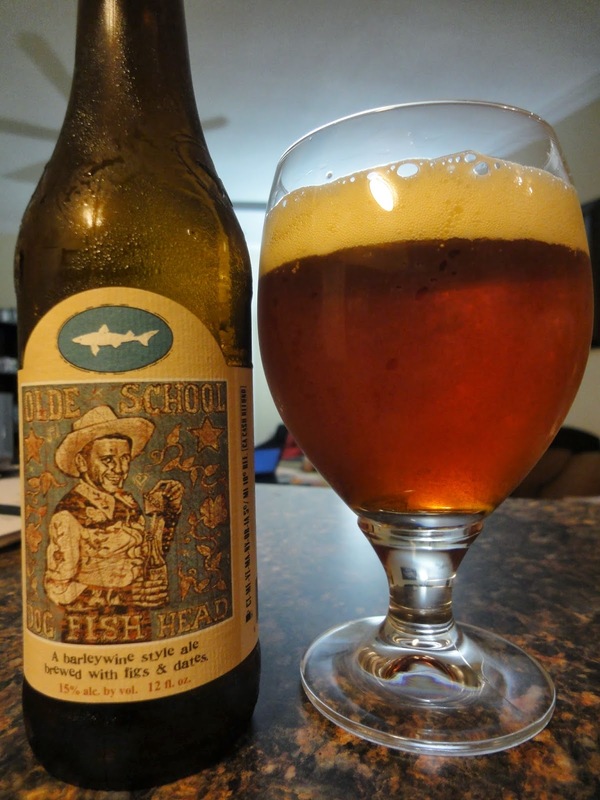 Dogfish Head brews a Barley Wine aptly named “Olde School Barley Wine” which comes in at an intense 15% ABV. With a light amount of carbination, the beer appears a dark orange or almost brown color. One quick sniff of your glass will let you know that this is an intense beer in terms of alcohol and hops with a very sweet and floral perfume. The taste is equally intense with high hoppiness, warming alcohol, fruitiness from the hops, and almost a bourbon quality. This beer is best enjoyed in a brandy snifter or chalice-style glass. Speaking to the ability of a Barley Wine to be aged, the authors are in the process of aging two additional bottles of “Olde School Barley Wine” for a year in the back of our refrigerator. Though a wine cellar sitting at 55 degrees F is preferable, not everyone has these in their expansive mansion. A year in your refrigerator is a cheap alternative, though be sure to warn your friends not to drink them and avoid temptation to open them early. As final evidence of the ability to age this style of beer, we recently spotted an unsupervised 5 gallon keg of “Olde School Barley Wine” at our favorite beer bar from 2009 which was left to age somewhere in the back of the bar. 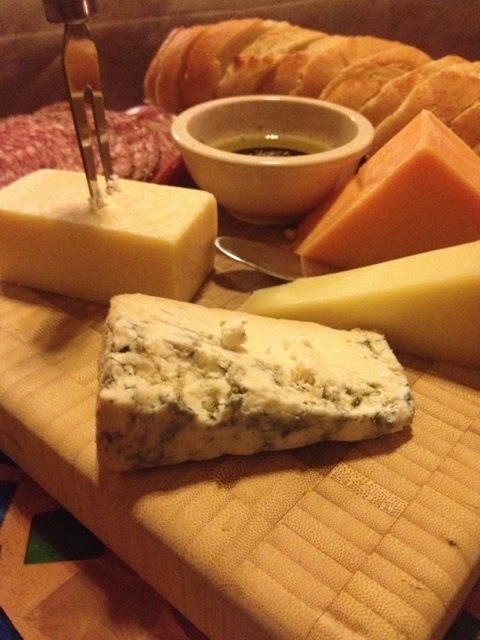 I have an unhealthy love affair with cheese. Any cheese. 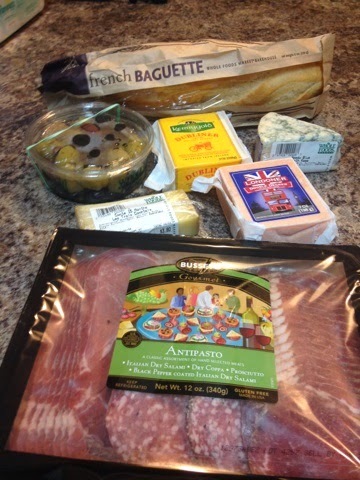 Hard cheese, soft cheese, moldy cheese, stinky cheese, nutty cheese, fruity cheese… Yes, I am aware I have a problem. But I LOVE cheese. The careful craftsmanship that is sometimes required to create a milky masterpiece is something I respect. In our local market in Crouch End London there were some artisian cheesemakers from Essex who only made cheese from the milk of a few spoiled and beloved number of cows. They literally could point to he cheese and name the cow from which it came from. Besides cheese my second love would have to be bread. There is not much better on this earth besides a perfectly crusty baguette with a soft yet chewy center. And now we are to a few more things I can not live without. I have an emotional soft spot for any buttery Spanish variety of ham or Proscuitto. 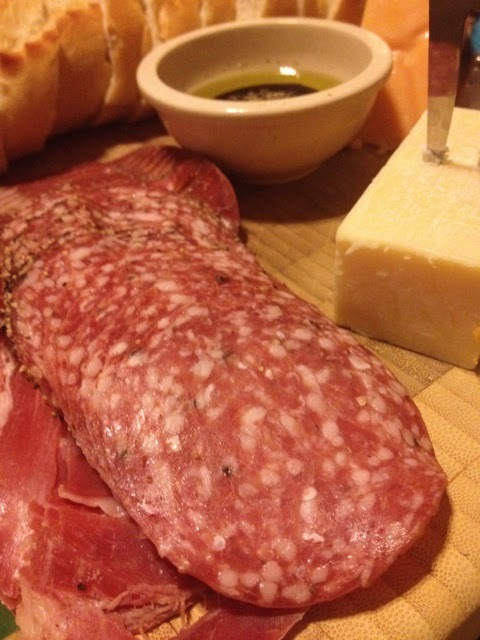 These meats should be available on your cheese board by being sliced ever so thinly and carefully. 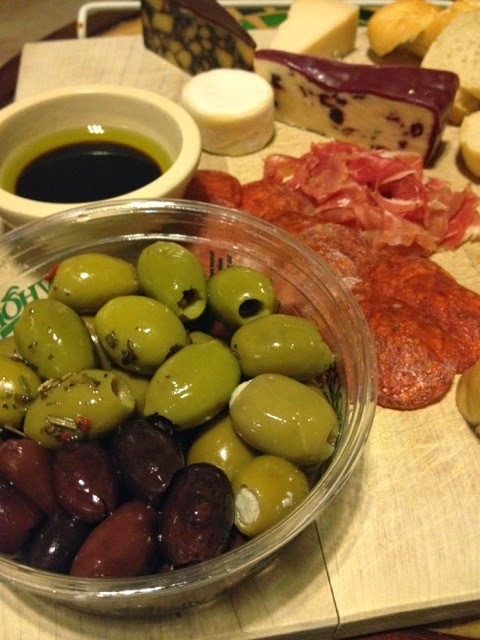 Last but not least are Olives. 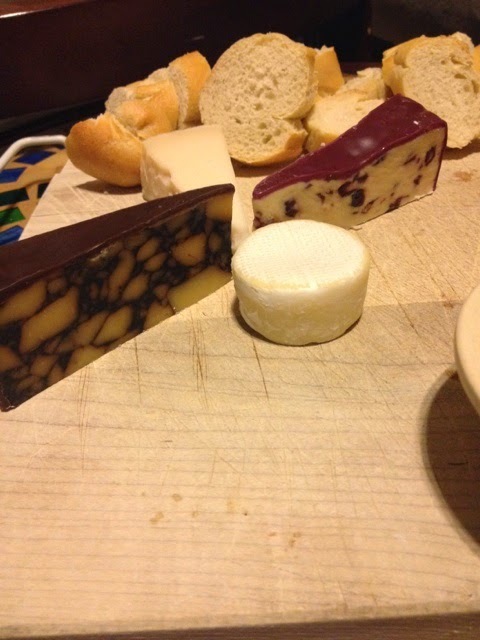 All are beautiful bursts of color and add a savory balance to the often sweet or milky textures of the cheese. 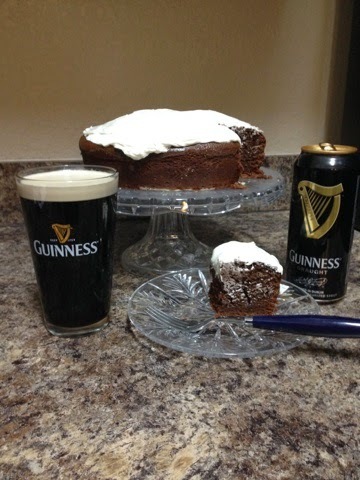 I love Guinness, chocolate, and cake. So why not combine a few great loves into one magical baking experience?! 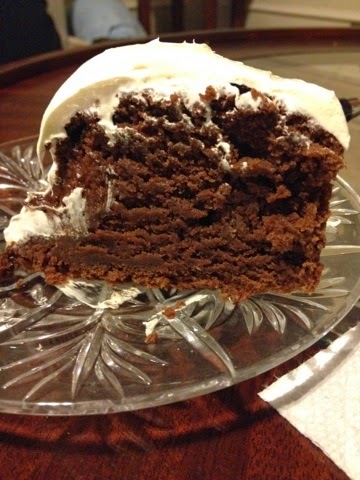 Even those who are not beer or stout lovers will fall for this deliciously moist cake. Preheat oven to 350. Butter and flour a 9 in pan. Add butter and Guinness to a small saucepan. Only heat until butter is melted. 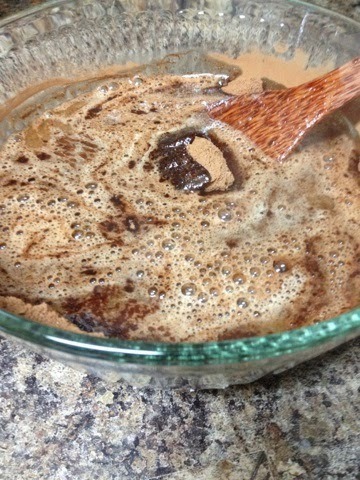 Add cocoa powder and sugar to a large mixing bowl. 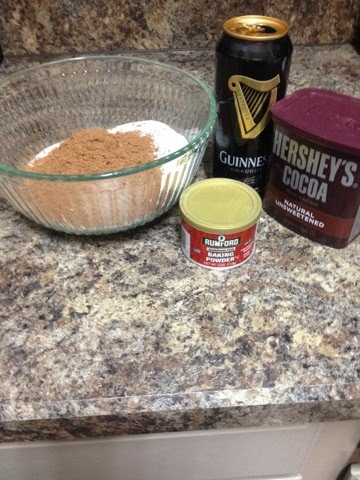 Pour butter and Guinness mixture into bowl with the cocoa and sugar and combine with a hand mixer, or by hand. 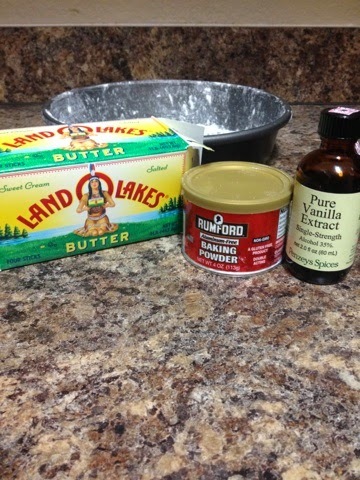 Now add sour cream, vanilla extract, and eggs until combined. 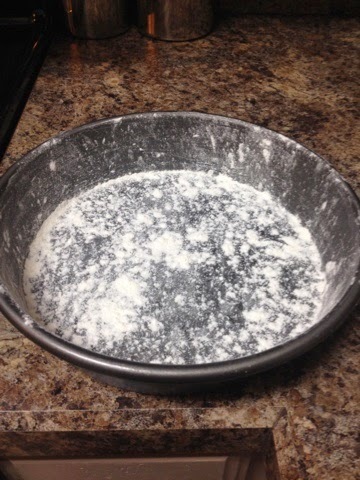 Then add flour and baking soda until there are few clumps. Por batter into prepared pan and bake 45-60 minutes. 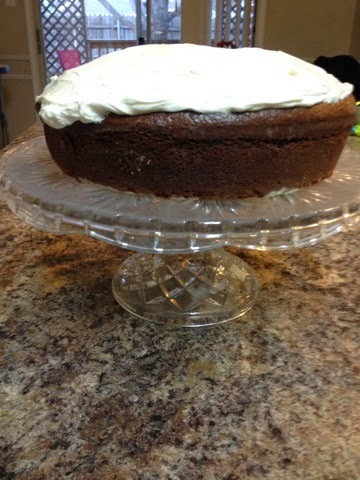 Allow cake to completely cool before removing from the pan. Now prepare the frosting by combining cream cheese and powdered sugar and slowly add in whipping cream until you are satisfied with the consistency. St. Patrick's Day Irish Stew & Mac N Cheese! Oh St. Patrick’s Day. There once was a time, in the very recent past where I would celebrate this holiday by buying a skimpy green outfit or shirt, looking up cheap drink specials, and meeting about 30 of my closest friends for a night of drunken debauchery and hoping I do not consume so much terrible, watered down $2 light beer that I am too sick to participate in society for at least another 24-48 hours. Now that I am a more responsible person (and a parent) I am more likely to enjoy a pint once the baby is asleep and cook some kind of traditional Irish meal…. How times have changed! I am not even wearing green!!! 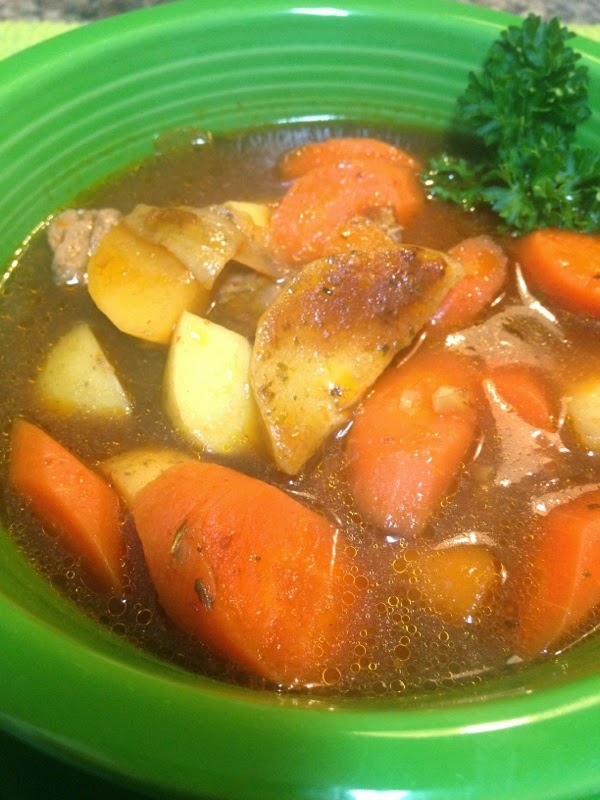 So if you are growing up like I am or just want some tasty post-celebratory tasty Irish food to nosh on, then try out my Guinness Irish Beef Stew recipe. While living in London many pubs. British as well as Irish themed seemed to have their own version of an Irish stew. 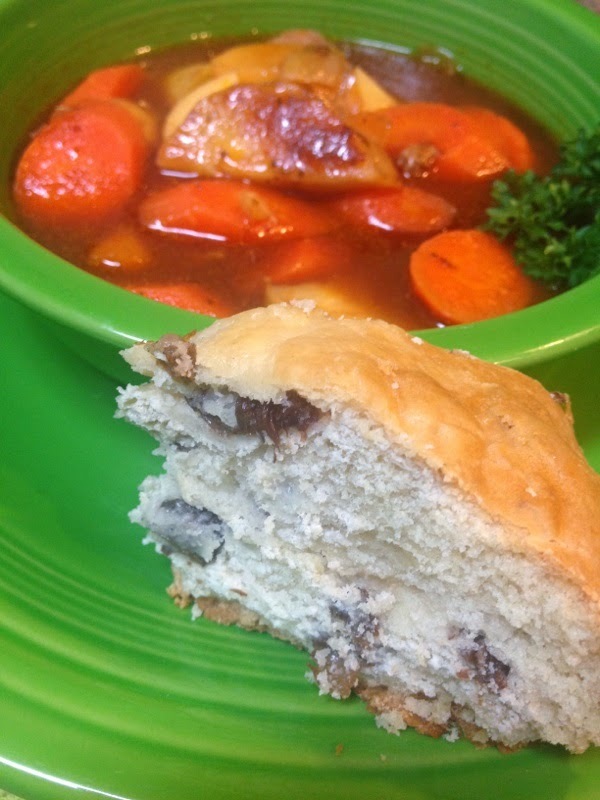 Some would call if Steak and Ale Stew or Guinness Stew. Either way, here is my variation of what we were able to enjoy while over there. Heat Olive Oil in large pot on the stove and brown beef on all sides. No more than 8 minutes. 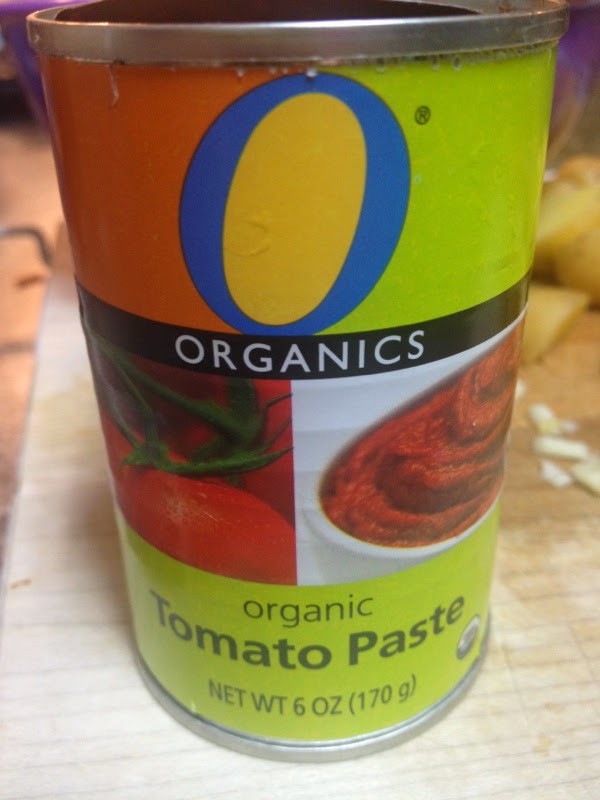 Add Garlic and Tomato Paste until incorporated. Add Beef to large oven pot OR Crock Pot. Now boil the beef stock and beer for 5 minutes. Add all liquid to large pot with the beef. 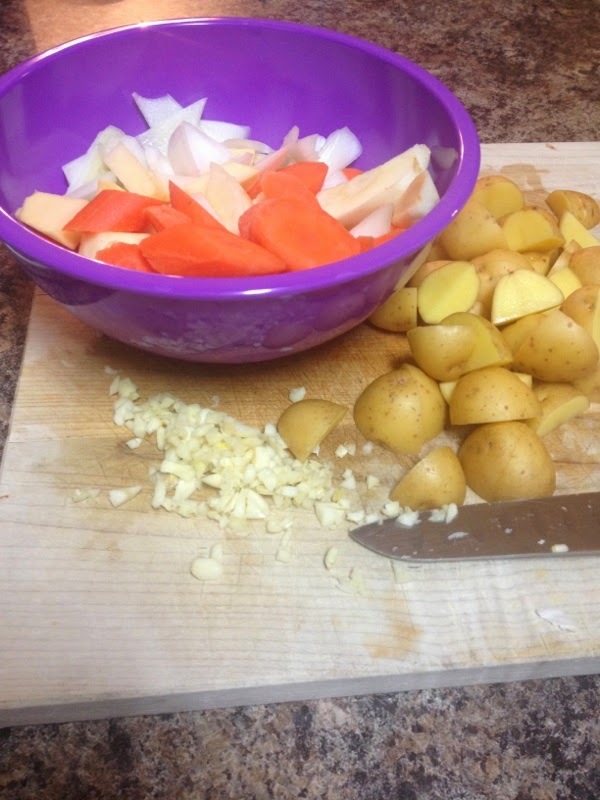 Sauté vegetables for 8-10 minutes to soften and brighten to a bright golden color and add vegetables to the large pot. Cover and simmer for about 2 more hours. Mikes grandmother has a few secret weapons in her cooking arsenal that she has graciously and sometimes reluctantly passed down to the younger generations. 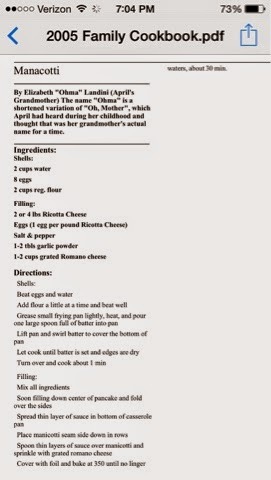 One of her most beloved recipes is her homemade “macky and cheese”. 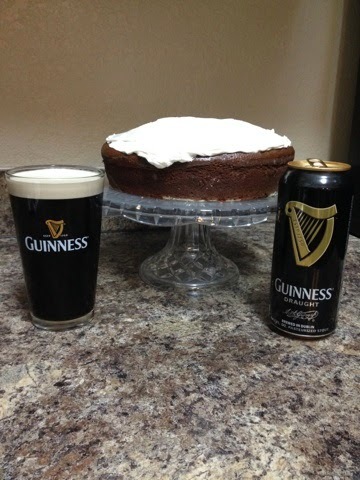 Since St. Patricks day is upon us I decided to do my own Irish take on her glorious recipe. I mean, who can possibly complain about a perfectly cooked noodle covered in REAL cheese and baked to a crispy perfection?! Move over Kraft and make room for some real. 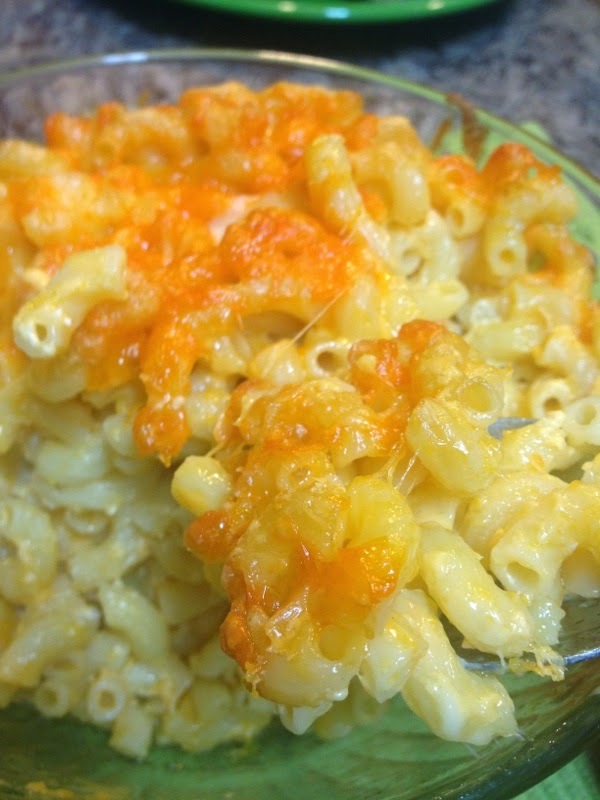 Honest mac & cheese that you will want to make again and again. Boil macaroni noodles until al-dente, about 7 minutes. While the noodles are cooking, chop cheese and save a small amount to be grated over the top of the entire dish. 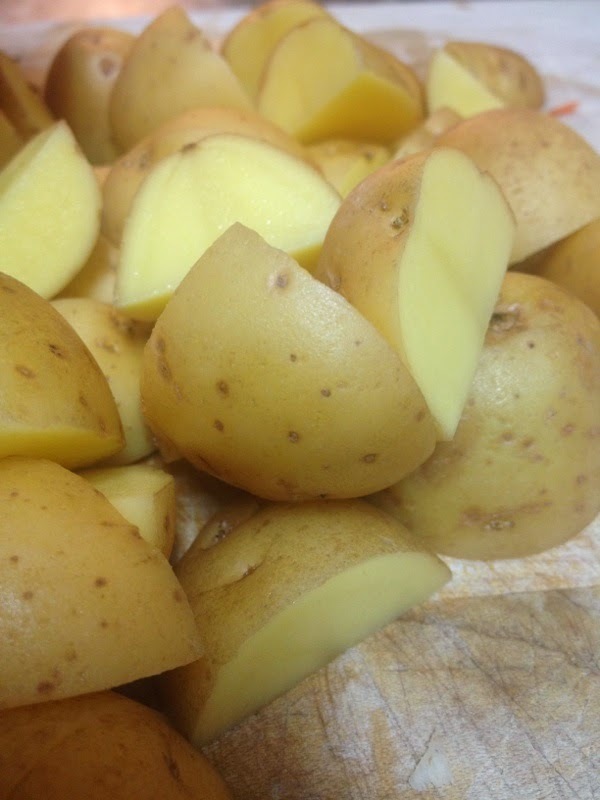 Mix cheese cubes into drained hot noodles until cheese is melted, add sour cream, combine all into glass baking dish. Add grated cheese to the top of the noodles. Bake uncovered at 400 degrees for about 30 minutes or until top starts to bubble and edges are crispy and golden brown. Trappist brews are those beers still brewed by monks in Belgium and the Netherlands. These brews now brewed to fund charitable works in those areas, but were once important for travelers in Europe hundreds of years ago. Trappist brews usually come in a few styles: the dubbel, tripel, and the quadrupel. The tripel is the lightest, followed by the dubbel, and quadrupel. Other specialty beer styles can include stronger dark ales or spiced ales. A fantastic brew made in Belgium is the strong dark ale brewed by the monks at Rochefort. This brew is a full, brown color with a foam head. Although there is a slight alcohol smell (9.2% ABV) followed by a dark, fruity aroma. This fruit aroma of fig and berry is a contribution of the yeast. Trappist monks have cultivated these yeasts over long periods of time which makes these yeast strains some of the most unique in the world. The taste of Rochefort 8, a strong dark ale, has a creamy, spicy character and finishes with a sweet, berry aftertaste. One of the best things about this brew is that deep, dark fruit taste that is richly tucked away in a malty brew. Of the Trappist brews, this is one of my personal favorites. The complexity of this beer should make it among the finest Trappist brews.